Tireless Defense for Felony DUI/OVI Accusations. As with “high test” DUIs, a multiple offense or felony DUI carries with it more severe consequences than a typical DUI. The mandatory minimum jail, mandatory license suspensions and fines as well as the numerous collateral consequences increase exponentially. 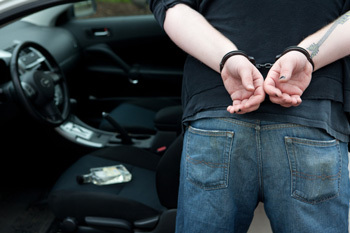 When is a DUI/OVI a Felony, and When is it a Misdemeanor in Ohio? A DUI becomes a felony in Ohio when it is a fourth offense within six years, or fifth or more offense within 20 years. Additionally, the cost can range up to thousands of dollars, years in jail or prison, "party" license plates, an immobilized vehicle, or even a forfeiture of your vehicle. Because of the serious consequences involved in these charges, it becomes all the more important to take immediate and decisive action by reaching out to an aggressive, experienced and dedicated legal team. As a Former Prosecutor, Dominic Mango has the Experience You Need. Mango Law LLC and staff have perfected our approach over 15+ years of DUI and criminal defense work. Mango Law does whatever is possible to defend you aggressively. As with every criminal case on which we work, Delaware County attorney Dominic Mango will aggressively attack any weakness in the prosecution's case, seeking a dismissal whenever possible. Don’t Trust Your Future to Just Anyone, Hire an Attorney Who Puts Your Reputation First. If we cannot get your case dismissed, we will work to mitigate the consequences in whatever way we can. We encourage you to take decisive action and reach out. To get in touch and schedule a free initial consultation to discuss your felony DUI/OVI legal issues with our lawyer, call 740-602-2155 or email the firm.